Lance began this project by consulting with his client about specific moulding and glass. Lance is always happy to give his professional advice where needed on how to achieve the best result for the client. 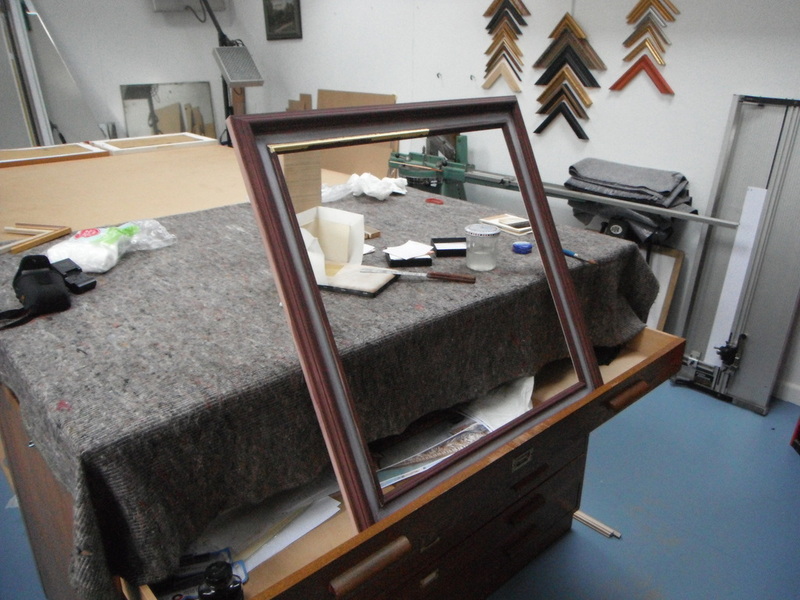 He is able to adapt and use the best bits of existing designs to make a handcrafted, personal frame to order. He is dedicated to poviding the highest possible quality for the best price. 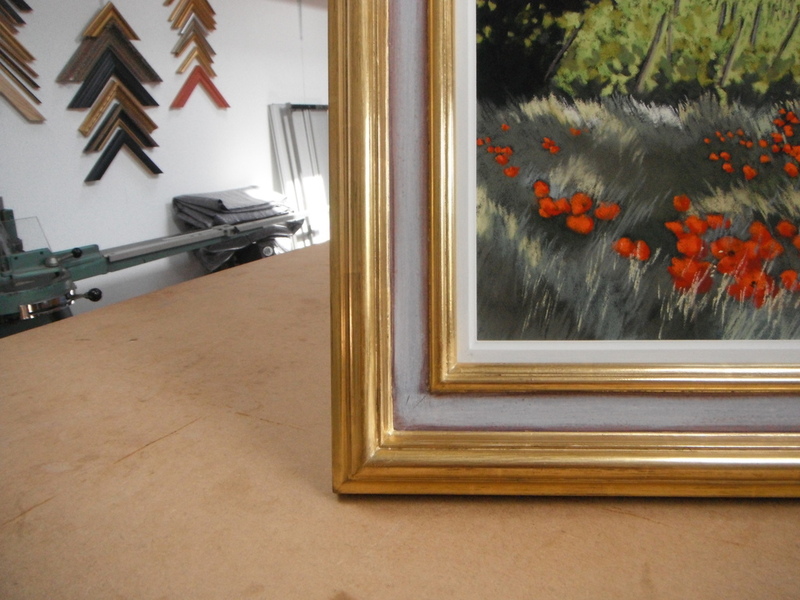 Because the painting is pastel, special adaptations are needed for the frame to ensure the painting does not come into contact with the glass (causing damage to the work through smudging). A slip has been inserted to lift the glass from the pastel surface. As you can see here, the use of low refelctive glass means the picture remains clear with minimal reflections even when tilted into the light. 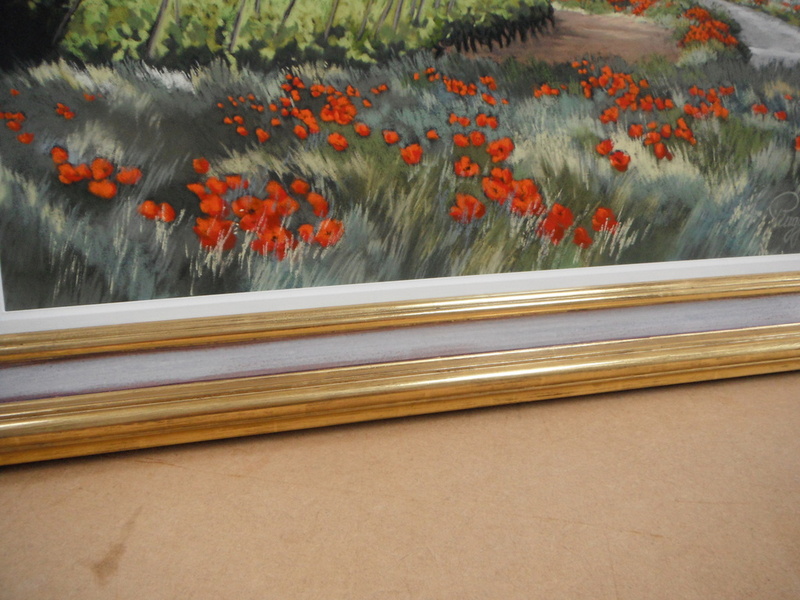 Over the years Lancelot has restored hundreds of gilt gesso frames. These large, ornate frames are very vulnerable to damage. 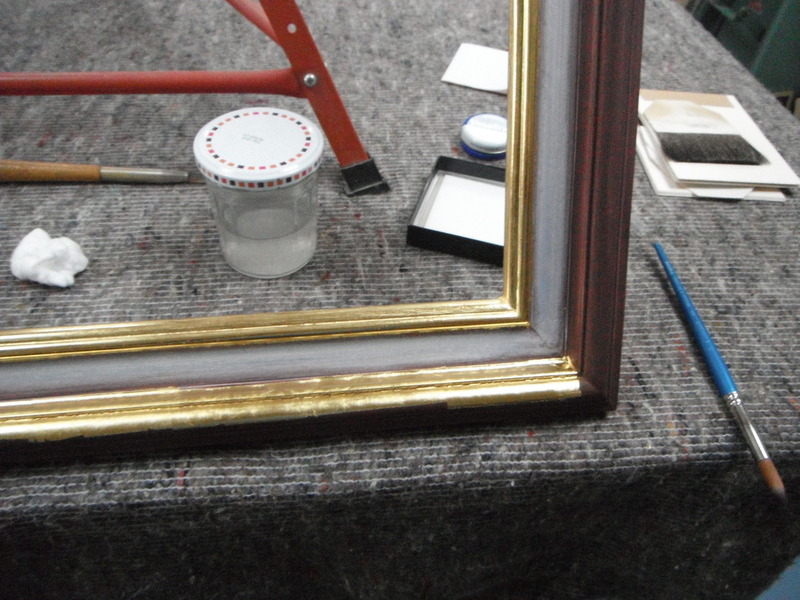 The corners can be knocked easily when pictures are moved and Lancelot has developed an invisible restoration technique of recarving the missing segments of frame and matching the new gilding to the original finish. One of the most devastated frames he ever worked upon, was one hit by an IRA bomb in Northern Ireland. It was a Victorian composite frame and the lower half of plaster decoration had been entirely removed by the blast. 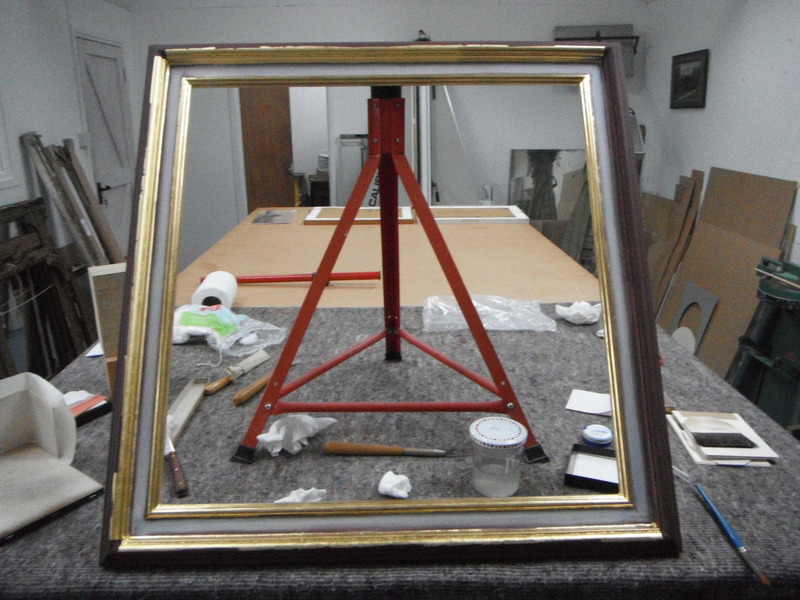 Unfortunately this job was completed before Lancelot started documenting his work but the ornate and valuable Georgian frame below is a good example of a similar full restoration. 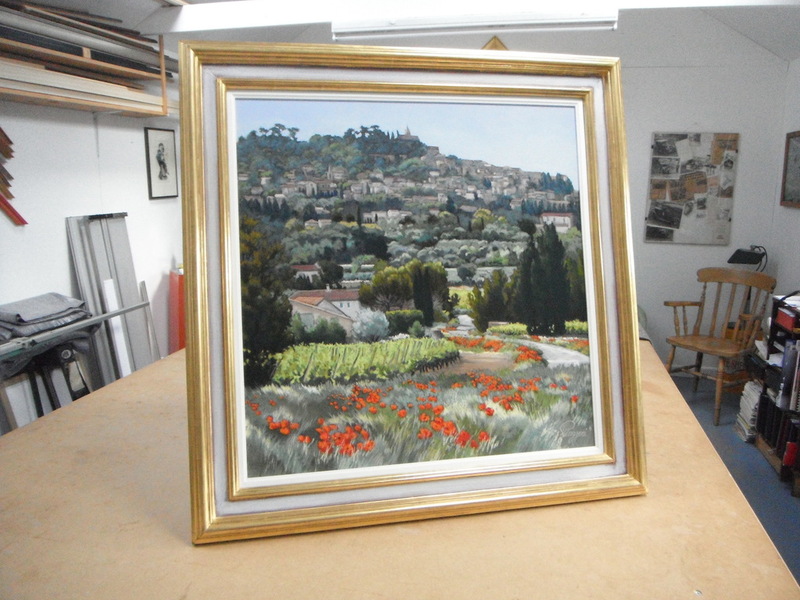 This was a major restoration, many frames can be restored without dismantling and we always aim to conserve as much of the original as possible. Contact us to discuss your conservation/restoration needs.